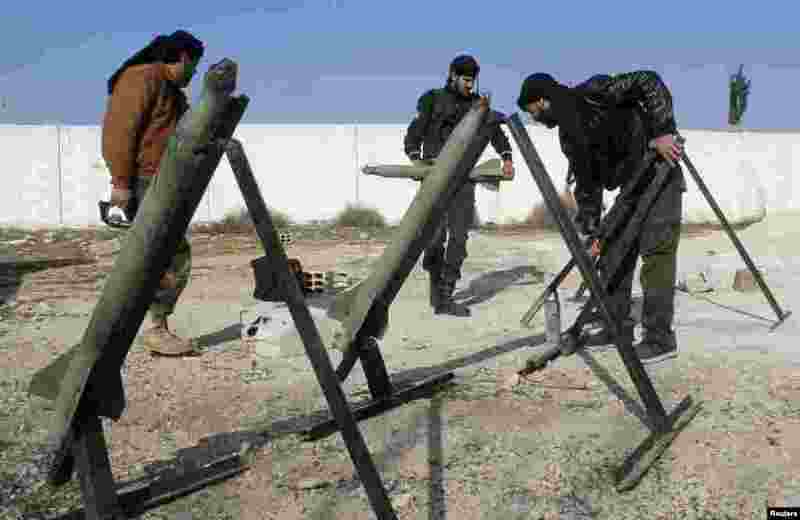 1 Fighters from the Free Syrian Army's Saif al-Umayyad brigade prepare rockets to be launched towards forces loyal to Syria's President Bashar al-Assad in the eastern Damascus suburb of Ghouta, Jan. 16, 2014. 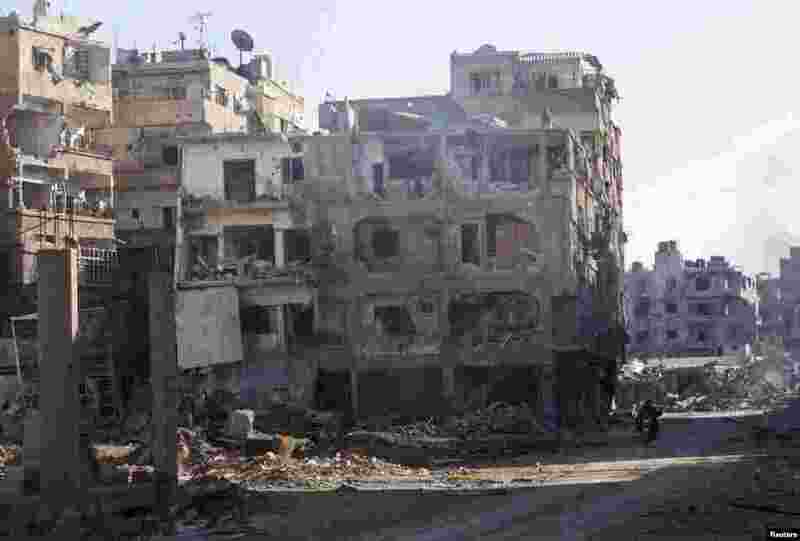 2 Men ride a motorbike past buildings damaged by what activists said was shelling by forces loyal to Syria's President Bashar al-Assad in Daraya, Jan. 15, 2014. 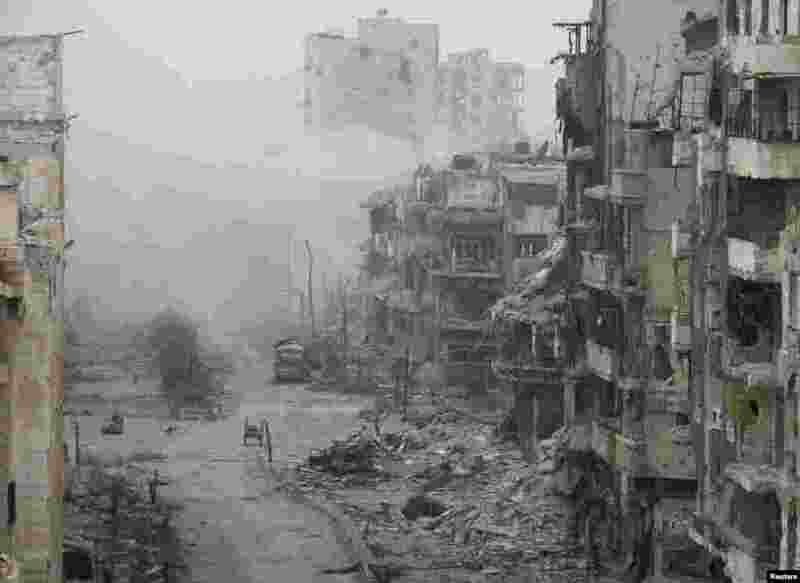 3 Smoke rises from buildings after what activists said was shelling from forces loyal to Syria's President Bashar al-Assad in the besieged area of Homs, Jan. 15, 2014. 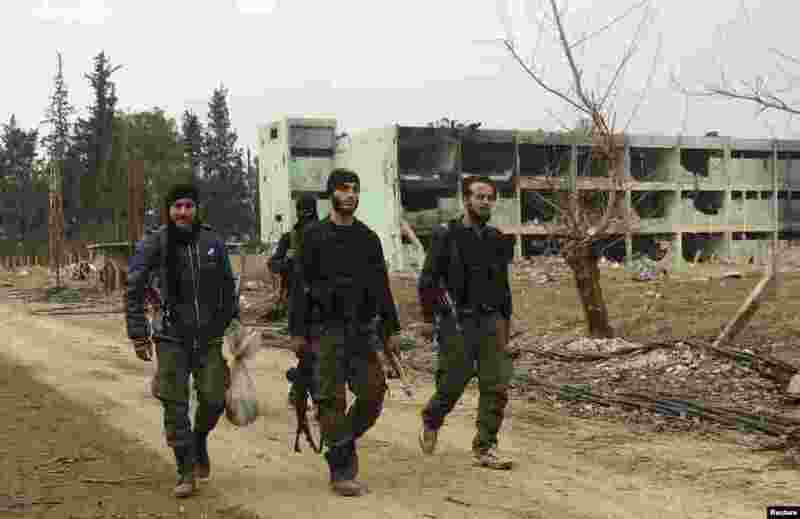 4 Free Syrian Army fighters walk at the Tameko pharmaceutical factory after the FSA claimed to have taken control of the factory, in eastern al-Ghouta, near Damascus, Jan. 14, 2014.